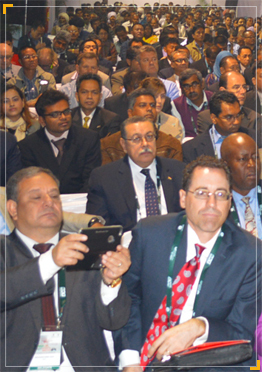 Indian agriculture has marked its presence at the global level. India ranks either first or second in terms of total production of rice, wheat, sugarcane, fruits and vegetables in the world. However despite this potential, two major bottlenecks that have emerged and can become insurmountable problem in foreseeable future is the stagnant productivity per hectare and shortage of agriculture labor. Empirical evidence confirms that there is strong correlation between farm mechanization and agricultural productivity. It has been further estimated that use of proper equipments can increase the productivity by upto 30% and reduction in costs at about 20%. Although India is one of the top countries in agricultural production the current level of farm mechanization, which varies across states, averages around 40%. In order to meet the demand in future and achieve the target of an average farm power availability level of 2.5 kW/ha, country needs to work on intended level of mechanization. Innovation in farm machinery sector will drive the next phase of agricultural growth in the country. The Government of India has been encouraging mechanization through different policy interventions. A dedicated Sub-Mission on Agricultural Mechanization has been initiated in the Twelfth Plan, with focus on spreading farm mechanization to small and marginal farmers and regions that have low farm power availability. As a result, Indian farmer is fast adapting farm mechanization than ever before. The agriculture equipment market in India is presently valued at 6.5 billion USD and has enormous potential for further growth. The tractor market is expected to grow at a CAGR of 8-9 % in next five years. The joint efforts made by Government and farm equipment industry in the country have led to such progress in mechanization over the years. The role of farm mechanization has now gone beyond tractorisation with much more emphasis on increasing productivity of land and labour and increasing work output per unit time. Efficient machinery is being introduced in the country for crops that entails high manpower requirement such as cotton, sugarcane etc., supported by favourable policy, testing facilities and infrastructure. This indicates that transformation has begun in country and usage of farm machinery is expected to accelerate over the years providing customized solutions to different crops, land holdings and varied agro climates.